You can change how you format of your citations (citation style) in two different ways. Changing citation style upon export. Changing citation style from citation modal. 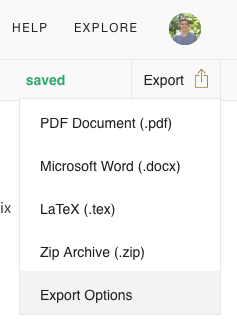 You can format your citations upon export to over 8,000 different citation styles. 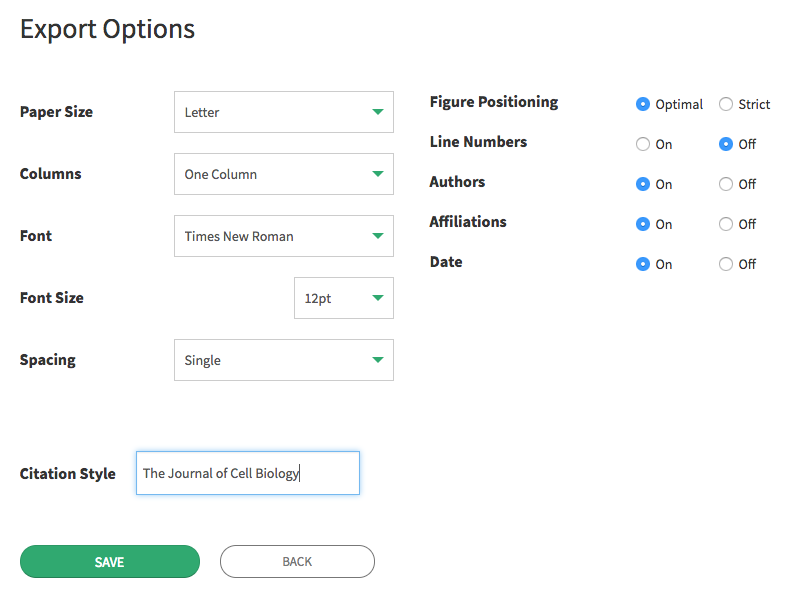 The format will be propagated to your export according to the journal or citation style that you select. The citation style will not update in the web-view, only the export. Step 1 : Select export options from drop down menu in your toolbar. Step 2 : Choose the citation style you wish and select Save . 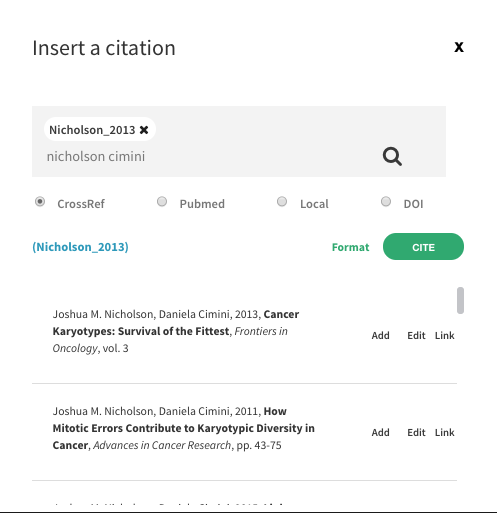 You can change the citation style directly from the citation tool as you insert citations.